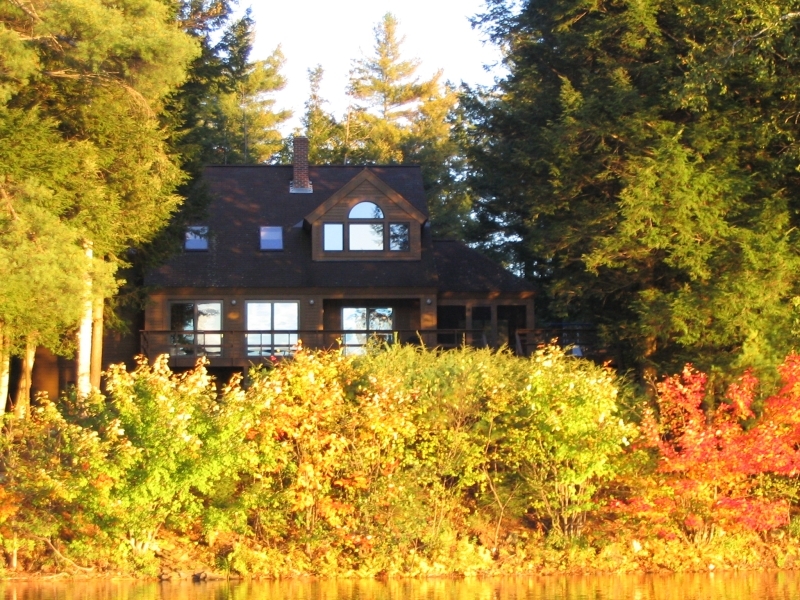 This dramatic contemporary home is privately situated on .75 acres of land and overlooks 125' of frontage on picturesque Upper Narrows Pond. 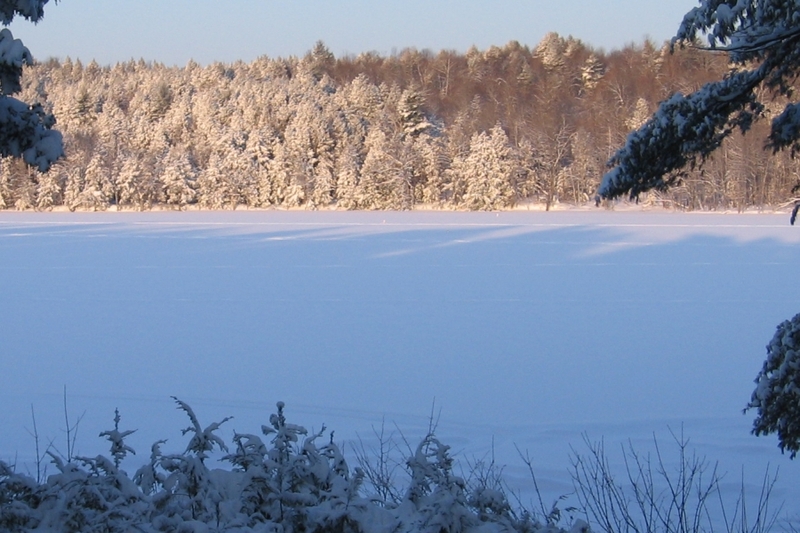 Upper Narrows Pond offers year round enjoyment for the boating, skiing and fishing enthusiasts and is one of the cleanest of our area lakes. 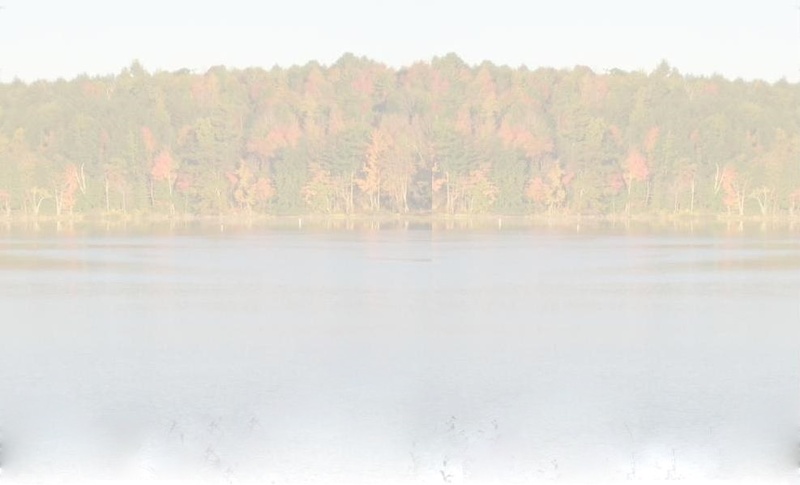 279 acres in size, this peaceful pond is just a short drive to Winthrop or our State Capital, Augusta, but miles away in your mind. 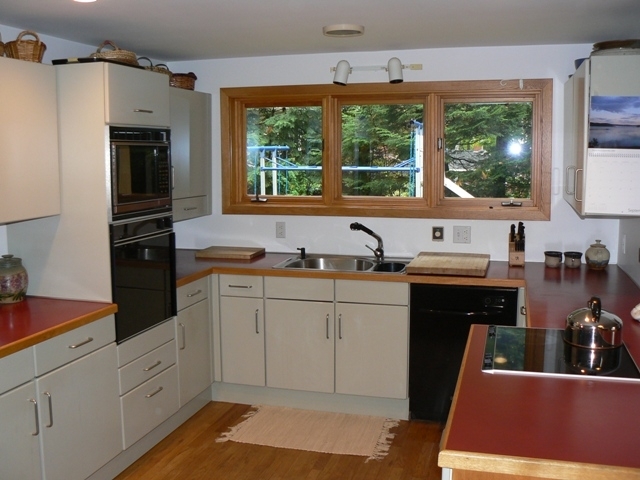 The home, designed by Maine architect John Silverio of Lincolnville, has quality features throughout. 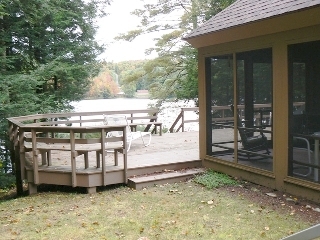 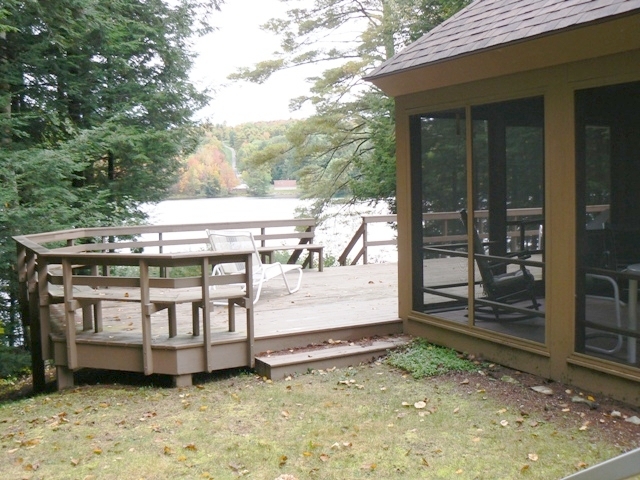 With the spacious deck and screened in porch you can have views over the sunset and preserved frontage across the pond. 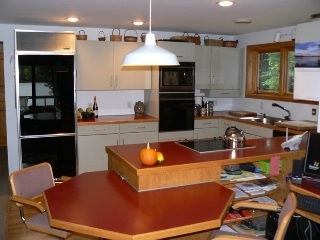 Custom Black Forest Tielsa kitchen imported from Germany, with sub zero refrigerator is truly unique and offers plenty of counters for the cook in the family! 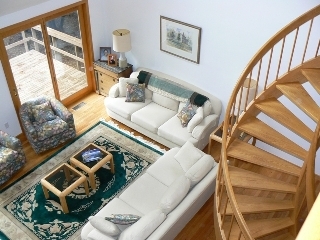 The dramatic living room has oak floors, vaulted ceiling and dramatic spiral staircase. 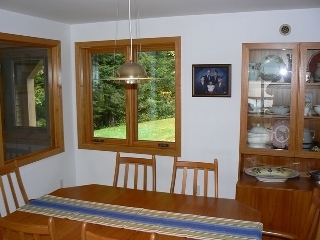 A formal dining room is perfect for entertaining. Two bedrooms and a full bath and laundry room make the first floor convenient. 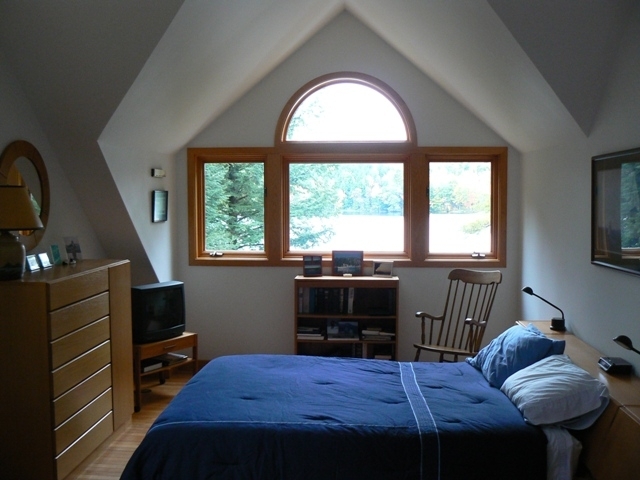 The second story has sunny den with sky light and guest bedroom. You will fall in love with the large Master Bedroom with perfectly framed water view, paladium windows, his and hers walk in closet and private bath. The convenience of the basement with a walk out to the shore front makes storage of lakefront equipment a breeze. 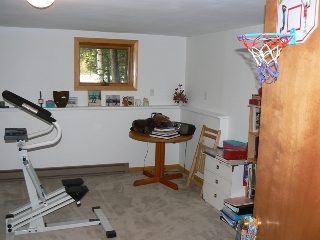 On rainy days take advantage of the exercise room! Committed to quality, this home was built to Central Maine Power Good Sense standards and is affordable to heat. 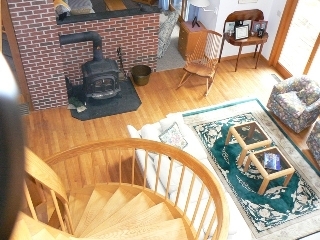 Contact Pat Ladd for a private viewing of this truly unique property. View the MLS listing for this home. 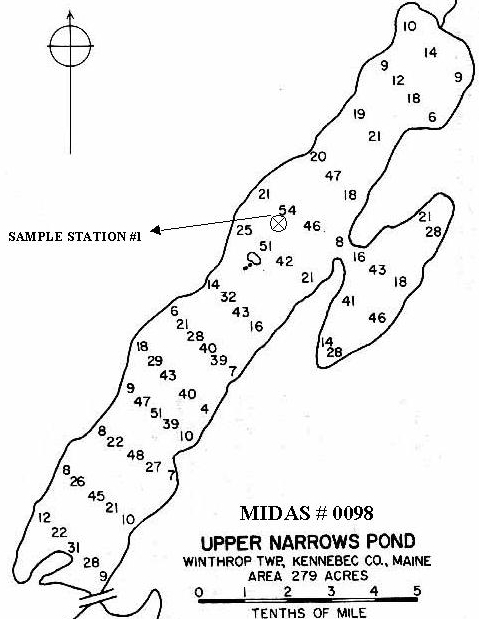 The Friends of the Cobbossee Watershed, whose mission is "to protect and improve the 28 lakes and streams of the Cobbossee Watershed", has information on lake water quality for Upper Narrows Pond. 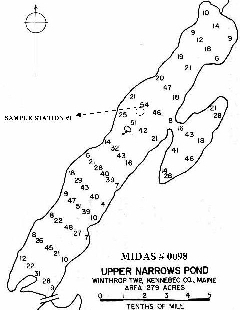 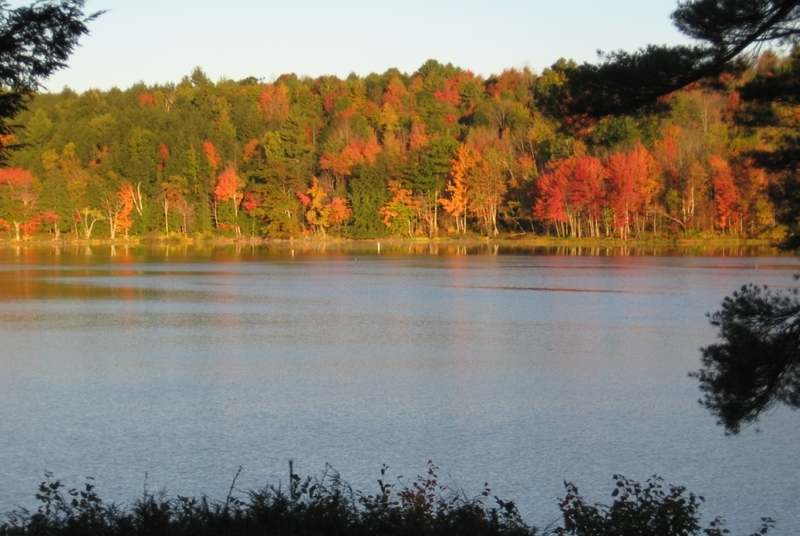 Maine Department of Inland Fisheries and Wildlife has Lake Survey information.